Most organisations will have a set of core values. These will usually be proudly displayed on the wall and may even make it as far as the annual review or company website. But how often do they truly mirror the organisational culture? Too often the values are not in sync with how an organisation really operates. Here I outline some of the tell-tale signs to look for when the values have no bearing on reality. 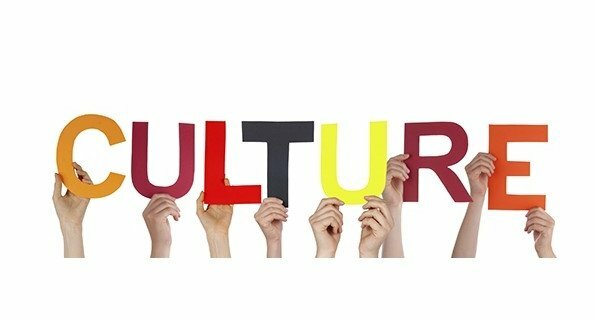 Culture is an interesting topic and one that is often an important focus for prospective employees, clients, partners and share-holders. The core values are seen as the beacon of what the organisation aspires to in terms of culture. While a vision articulates a company’s purpose, the values offer a set of guidelines on the behaviours and mindsets needed to achieve that vision. Culture is often thought of as “the way we do things around here”. Taking that definition into account, culture is therefore primarily about actions – not words. The true culture is often a direct reflection of the leadership style of the business, and unfortunately, the lowest common denominator. Whatever is accepted in terms of actions in the business, no matter how poor those actions are, is the lowest common denominator. That is the true culture – the worst behaviour that is accepted and allowed to continue. Although employees are interested in the words that come from the most senior members of the organisation, they are much more interested in the actions. This is what they will ultimately emulate in that organisation and that is what creates the culture. Although I have the great privilege to know several organisations that take their values very seriously, there are many others who put little effort into managing their culture or their values. Those who take their values seriously are actually pretty easy to spot. Firstly, they involve a lot of their people in creating the values. There is a lot of discussion about the values, coming from the board, CEO and Executive. They walk the talk, they hold others accountable and the actions of the most senior leaders are in sync with the words espoused in the values. My faith in core values has been restored watching the organisations where I have a board role and the impressive, consultative approach that they have taken to creating their values. This was real and meaningful work, not just corporate rhetoric to fool the market and the investors. I recently met with a very successful CEO and he mentioned the values six times in the space of an hour. He talked about behaviours and what was acceptable and not acceptable. The values were displayed everywhere and his pride in their importance in the business was clear. He has a history of letting employees go who are not in sync with the values – even if they are high performers. That takes leadership courage, but it also speaks volumes about the culture. The core values often look remarkably similar, from organisation to organisation. Sometimes it is hard to distinguish one set of core values from another. This is particularly the case if the values are chosen without much care, or without any input from key leaders and people in the organisation. In one quite comical scenario, I briefly worked for a CEO who literally plagiarised all four of the existing core values from an organisation he had just left – only to implement them in our organisation. He had little care or consideration for the existing values, which had been carefully crafted with significant consultation. He had little knowledge or understanding of the culture he had inherited and he had a blatant disregard for the impact of his actions. In that scenario, it didn’t seem to matter to the CEO that these values belonged to one of our competitors and it didn’t seem to matter that we had a completely different culture. Was he lazy? Did he think no one would notice? Or did it simply not matter, as they were really only words? Despite protests from some of the executive team, the new board was strangely silent on this issue. Their silence was taken as consent. Clearly, culture was no longer a priority in that organisation– and unfortunately, it appeared that having the courage to speak up was also no longer embraced or valued. You need to tread carefully when assessing the culture only through the core values. But if you cannot trust the core values as the true measure of a culture, how do you really make an assessment? This can be challenging, and particularly from a distance. If you look at the employment cycle, and the way that employees are treated from the beginning to the end, then you start to get a real sense of the culture. The degree of professionalism in the recruitment process is a tell-tale sign about the sort of culture that you are signing up for. Is it a formal interview process? How many interviews and how many managers will you need to meet? Do they utilise psych tests or extensive panel interviews? How many referees do they contact? The more formal the process, the more formal and organised the culture is likely to be. If they are responsive and treat you with care and respect during this stage, you are likely to also be treated with care and respect if you sign up for the job. If the recruitment process drags on and there is limited communication, it would appear that perhaps you are not valued as a candidate. This is a pretty clear warning sign of things to come!! If you are not treated well when they are supposedly wooing you, what are the chances that they will treat you well when you are signed up? Wise employers recognise that it is a two way street and in today’s digital world, a poor recruitment experience will tarnish your reputation as an employer – regardless of whether the candidate accepts a role with you. This is when the rubber really hits the road and you see how an organisation treats its people. This is where you often find the lowest common denominator in terms of leadership. Firstly, it is important to note that not all terminations are the same. Clearly a termination for poor performance and behaviour is quite different to a redundancy due to a company restructure. To clarify, any self-respecting HR professional should be able to explain that a redundancy is about the position, not the person. Common sense would therefore dictate that an individual whose position has been made redundant should be treated with a degree of respect. Sadly, this is not always the case. A company that I recently worked for made one of my former colleagues redundant, well after I had left. This individual had worked there for 19 years and was one of the most senior people in the organisation. Despite his achievements, seniority and years of service, he was treated so poorly, that it was staggering. It was probably the worst case that I have ever encountered. He was cut off the system, marched out of the building and then he had to engage a lawyer to receive his entitlements and severance. Yes, a lawyer. Once again, any self-respecting HR professional would know that this is highly inappropriate, regardless of instructions from those above. Suffice to say, there was no farewell gift or function for him after 19 years. This example shows the true culture of that organisation. How someone is handled when they are terminated is an accurate reflection of how that organisation works and the type of behaviour that is accepted. In that situation, the core values seemed to have no relevance to his treatment. That value of integrity that is still proudly displayed on the website? Hmmnn, sadly not so important or relevant after all. Ultimately, the values you espouse need to be in sync with how you treat people at all times – not just when it suits the leadership team or HR. Who gets rewarded and promoted? This is always an interesting one, particularly when an organisation is trying to provide meaningful career paths and speaks of commitment to diversity and inclusion. Ultimately, the company’s culture is reflected in who gets hired, fired and promoted. The level of transparency and process around promotions is a clear indicator as to how the culture works. Do the leaders simply appoint those that are most like themselves? Do they play favourites? It is very important to remember that as the company grows, the board, the CEO and executive are not always observable. So, the leadership capability across the business sets the bar for what is acceptable – and what is not. The line managers will actively reinforce behaviours through praise and promotion. Truly weak leaders (and I have seen a few of these) passively reinforce behaviours by simply allowing things to happen and not making a decision or addressing issues. So those that are promoted into senior roles, or allowed to continue despite mediocrity, are absolutely going to drive the culture of the organisation. Eventually, employees learn the “rules of the game” and what behaviours help you to survive and thrive – and often this will have absolutely nothing to do with the values that are on the walls. During the recent International Women’s Day celebrations, I was heartened to see so many organisations publicly embracing the importance of diversity and inclusion. Many senior leaders talked about the importance of celebrating women with well thought out quotes and nicely edited photos. However, as with all elements of culture, it is the actions that speak louder than the words. If an organisation has a CEO or a board that talks about diversity and inclusion – but has no women on that same board, and no women in the Executive Team, then that shows the real commitment to diversity. If there is a genuine gender pay gap and there is no plan to address that, well that speaks much more loudly than a rare quote on linked in. Even though it is politically incorrect to ignore diversity nowadays, it is amazing how many organisational cultures still do – despite the rhetoric! The culture will be determined by the leadership of an organisation and the behaviours that they display – not by the words that they say. Sometimes there is an excellent synergy between the leadership and the stated values and I am proud to know many excellent CEOs who constantly work on that synergy. However, when the actions of leadership have little reflection of the core values, their relevance becomes questionable. Ultimately, the best way to assess the culture is to look at how an organisation hires, promotes and fires. Then for good measure, take a hard, long look at the motherhood statements about items such as diversity and match those up with the reality of what is truly going on.